A Sheffield woman has issued a warning to other females after a man made a lewd sexual comment towards her at a bus stop. 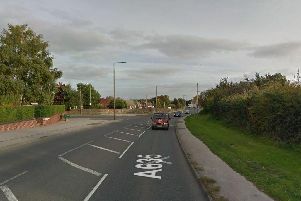 The woman was waiting at the bus stop on Holme Lane at 11.15am on Monday when she noticed a man appear in front of her. She said that the man walked over to her and made an ‘inappropriate’ sexual comment towards her before she got on her bus. Thankfully, the woman was able to escape unharmed from the incident but has now issued a warning to other women in Sheffield. The woman, who wished to remain anonymous, said that the man was laughing as he made the foul comment towards her. She said: “I had just dropped the car off at my husband’s work at Malin Bridge and I was going to get the bus to go to a meeting in Stannington park. “I was minding my own business outside the park and ride. There was a bus due in a few minutes and I could see it down the road at the bus stop. “Out of nowhere a man approached me and made a disgusting, sexual comment towards me. He was laughing as he said it and then repeated it. “I told him to get away from me and thankfully he did walk away but he approached two other women a bit further up the road. The road is a popular route for schoolchildren making their way to Forge Valley School and the woman said that she is now concerned for pupils in the area. She added: “It’s very worrying because a lot of school girls will be walking that way to and from Forge Valley School. “It was such a frightening experience. Thankfully I knew I could go back to my husband’s work but someone else may not have been as lucky.